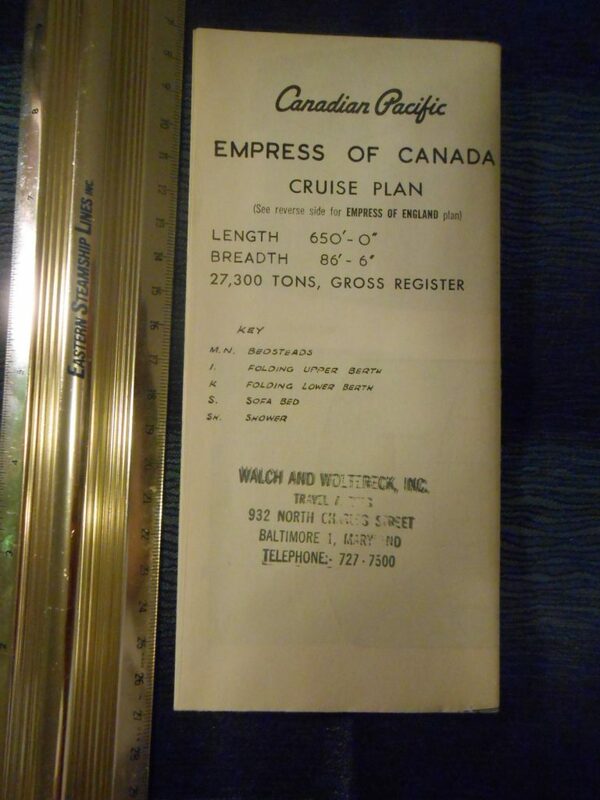 Nice heavy newsprint cruise plan for CP’s last flagship. It is 2 toned cream and blue … and looks like it was never used. Baltimore Agency stamp!